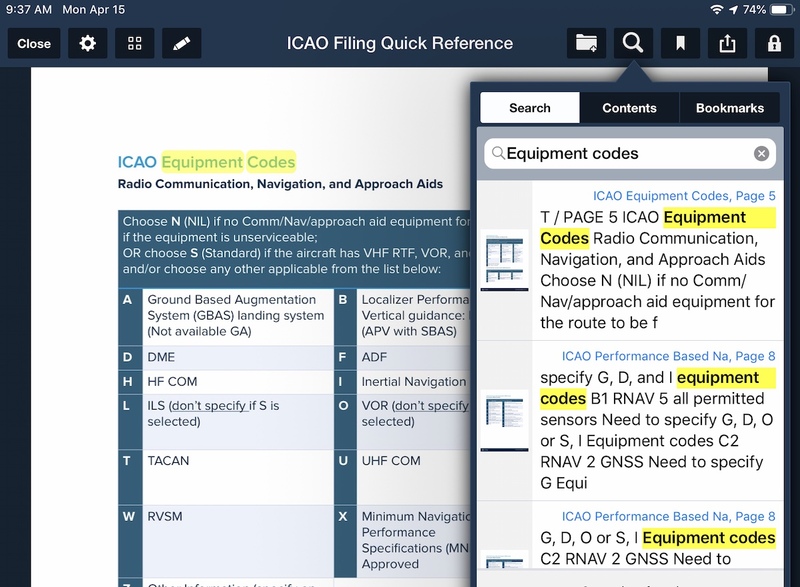 Download, import, view, and annotate documents with ForeFlight’s easy-to-use Documents view. 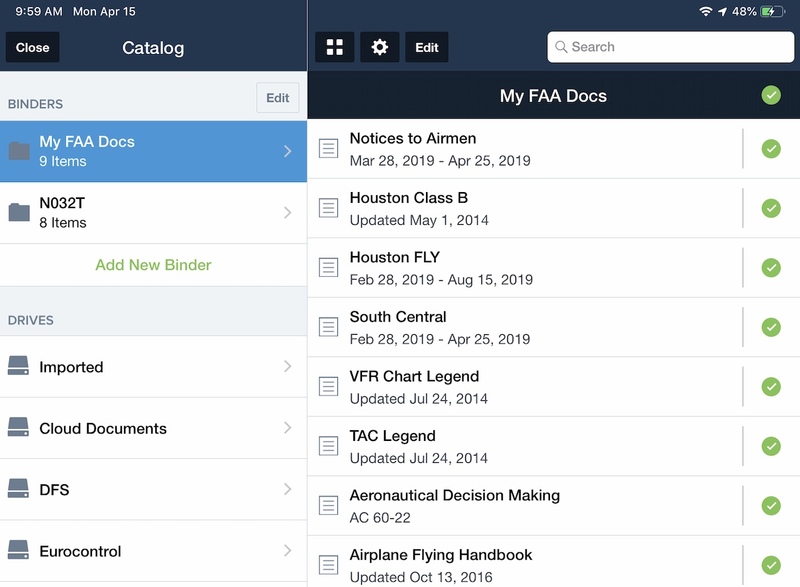 Documents are synced across all your devices and backed up to the ForeFlight Cloud so they’re ready when you need them. 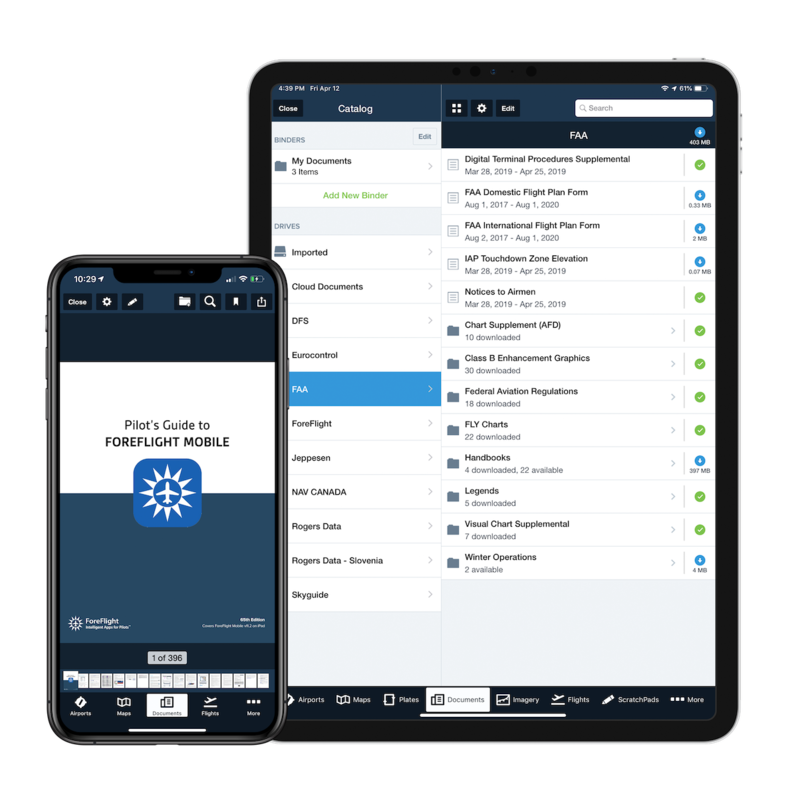 The next ForeFlight Mobile release will include major improvements to ForeFlight’s Documents capabilities, including a more flexible interface with support for nested folders, documents on the iPhone, and automatic document syncing between devices. Watch the video to learn more about the changes. 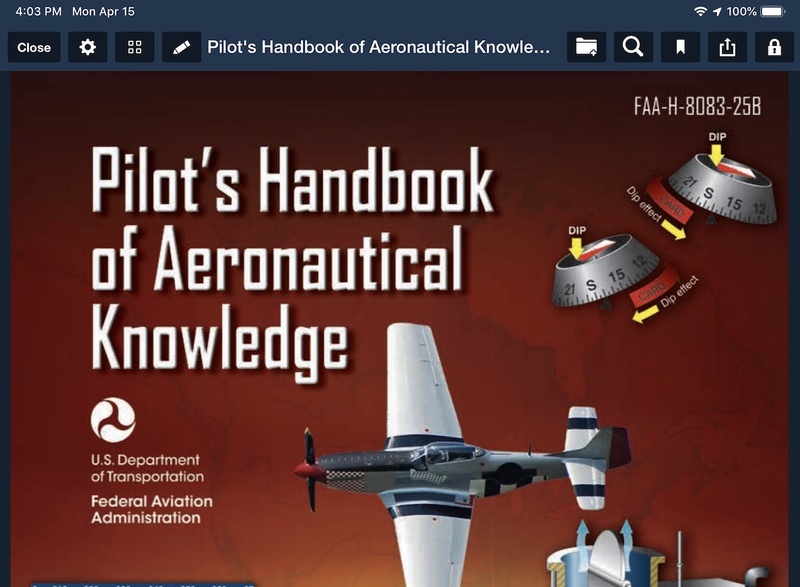 ForeFlight provides hundreds of freely-downloadable documents from official government sources, including the FAA, NAV CANADA, and EUROCONTROL. 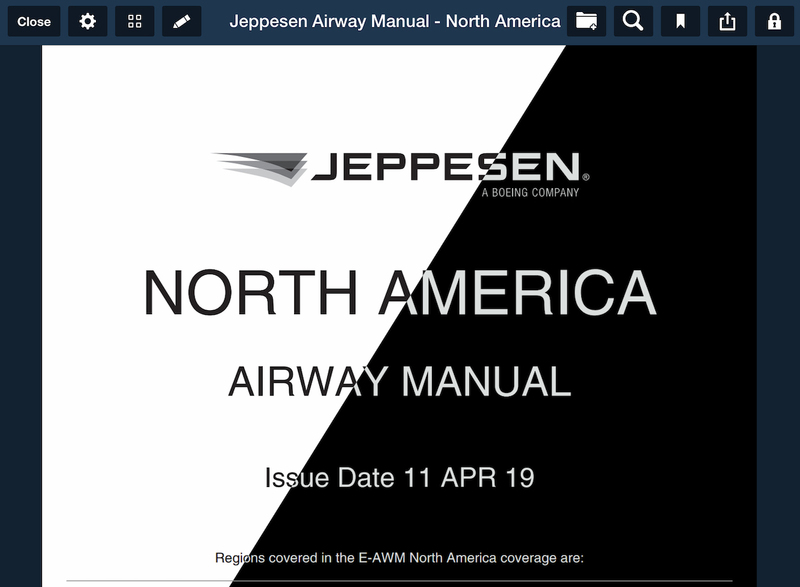 Provider-specific documents are also available with select subscription add-ons, such as Jeppesen’s global enroute manuals and documents from European chart providers like DFS, Skyguide, and Rogers Data. Download individual documents, folders, or entire drives, and ForeFlight will automatically update them when new versions or documents become available. Document binders and drives give you more ways to organize and access your documents. 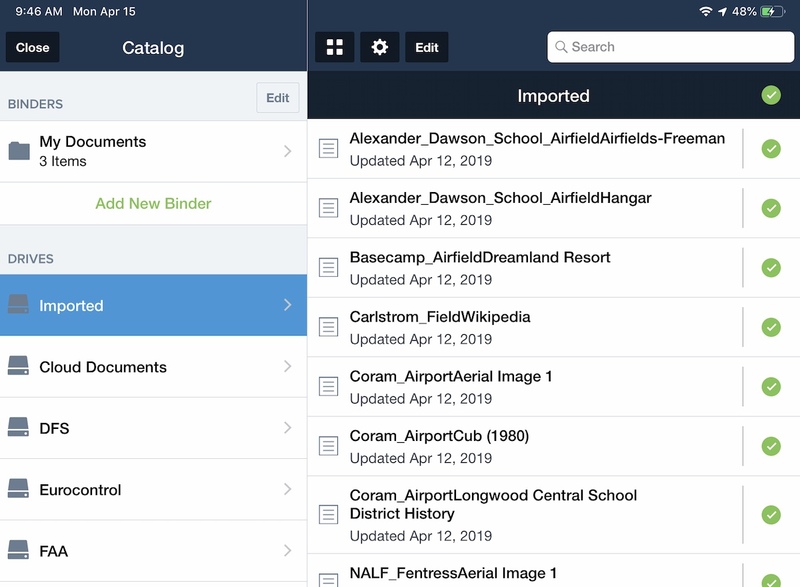 Add documents to custom binders to easily group them however you prefer, or utilize of ForeFlight’s built-in organization by downloading and accessing documents in the same drive. 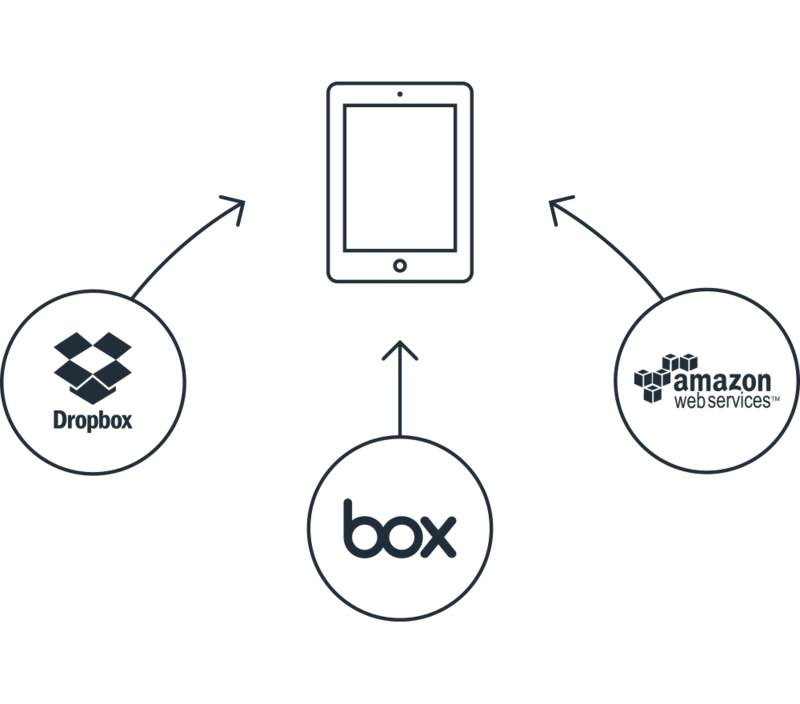 Connect your Dropbox, Box, or Amazon S3 account to securely deliver document files and updates via the cloud. It’s a great way to keep your checklists, POH, local procedures, and more up to date and always available on all your devices. Cloud Documents are available with Pro Plus and Business Pro subscription plans and above. Add nested folders within your Cloud Document drive for even more flexibility. Download and receive automatic updates to whichever folders you select, perfect for multi-pilot accounts where not all users need to download the same set of documents. The enhanced Documents view is now available on iPhone with the same great features and flexible interface as on iPad. The Documents tab replaces the Imagery tab in the center of the Navigation bar, while the Imagery view is now accessible at the top of the More view on iPhone. Manually import documents via AirDrop, iTunes, or email, then access them or add them to custom binders from the Imported drive. 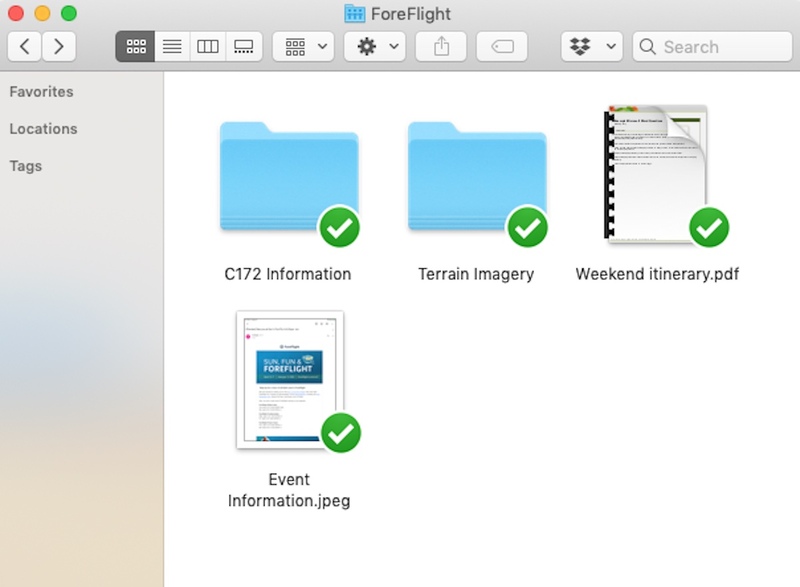 ForeFlight supports a wide range of file types for importing and viewing in Documents: pdf, tiff, tif, jpg, jpeg, gif, png, bmp, bmpf, txt, doc, docx, xlsx, xls, pptx, and ppt. 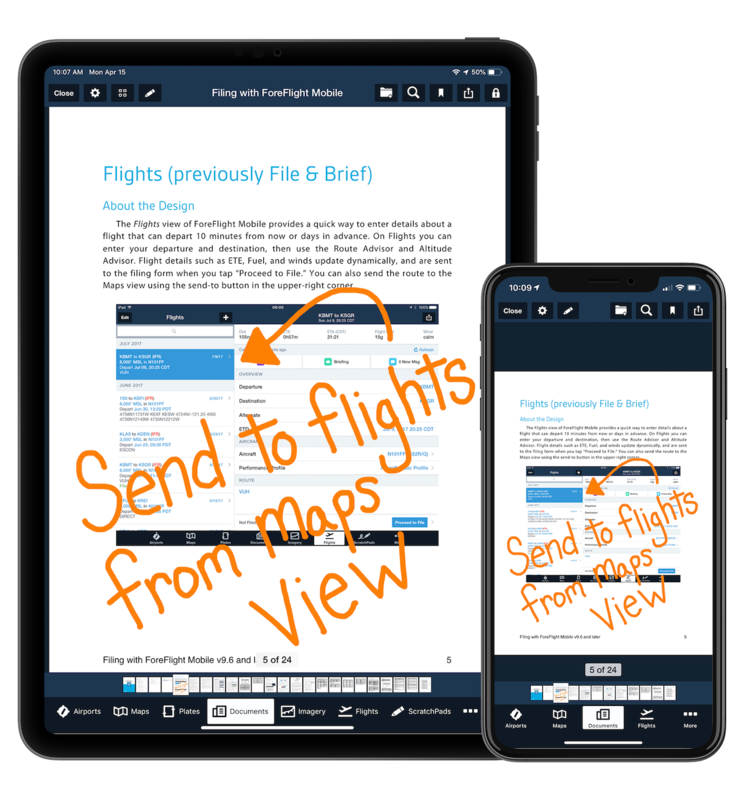 Your documents and related information like annotations and bookmarks are included in ForeFlight’s Sync system, allowing you to easily pick up where you left off when moving between devices. 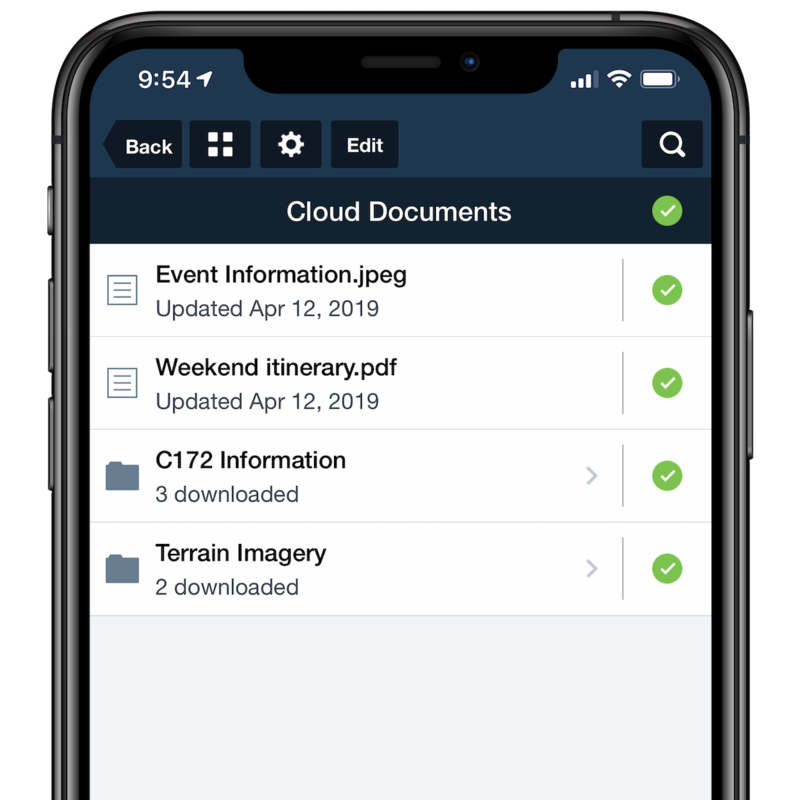 Documents that you import on any device are automatically backed up to ForeFlight’s secure cloud infrastructure, ensuring access on any device and protecting against accidental data loss. 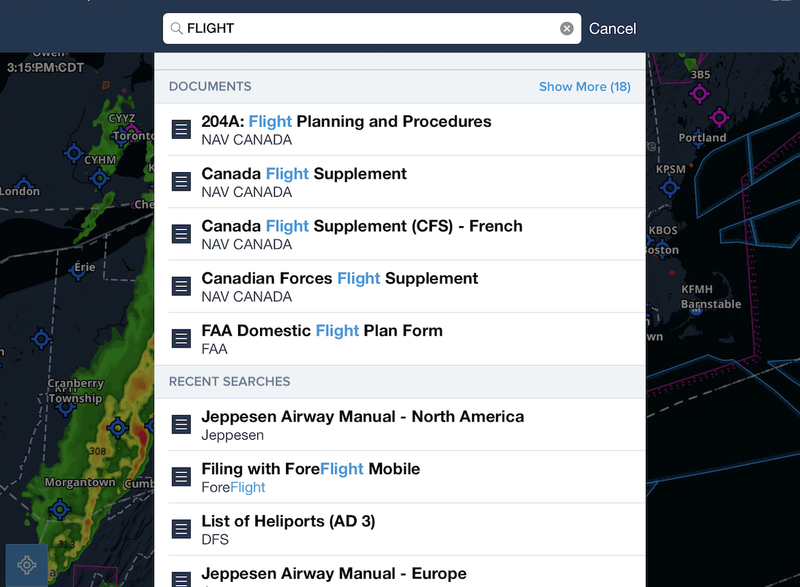 ForeFlight’s document viewer provides flexible options for viewing, customizing and searching documents. Navigate within documents by using grid view, swiping left or right, or by using the slider at the bottom of the page. 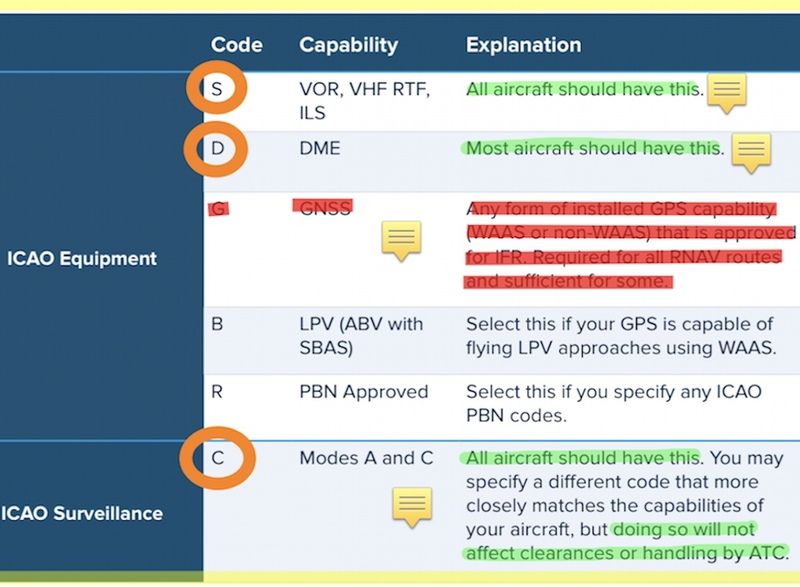 ForeFlight syncs your custom annotations and bookmarks across all your devices so they’re available whenever you need them. Highlight important info and add custom remarks and notes to any document using a variety of full-colored markup tools. Save pages you want to return to by using bookmarks with support for custom names. Invert document colors for easier reading in low-light environments and adjust screen brightness from the Settings button. 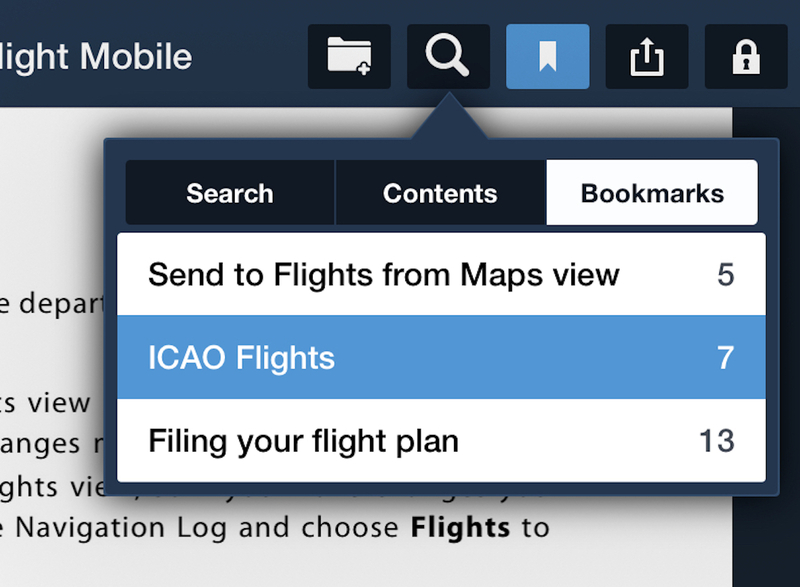 Finding the document you need is easier than ever with ForeFlight’s unified App Search capability. Search for both downloaded and undownloaded documents by name from the Airports, Maps, Plates, or Documents views, see all matching results with your search term highlighted, and download or view documents directly from the search list. The Recent Searches list also includes document searches so you can quickly revisit them.